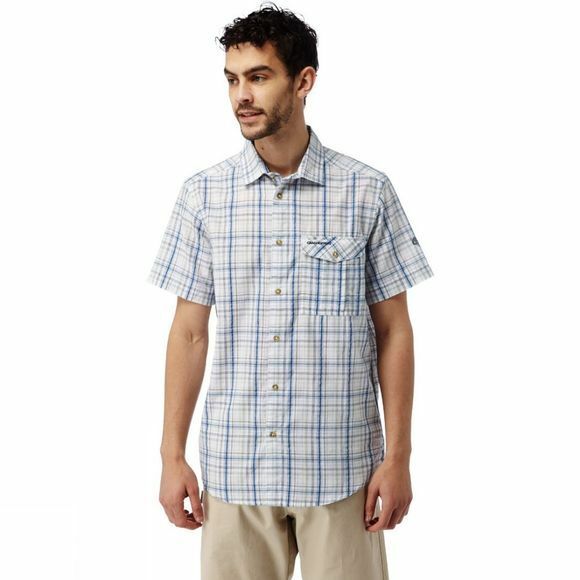 The Men's Westlake Short Sleeved Shirt from Craghoppers is an ideal travel shirt. 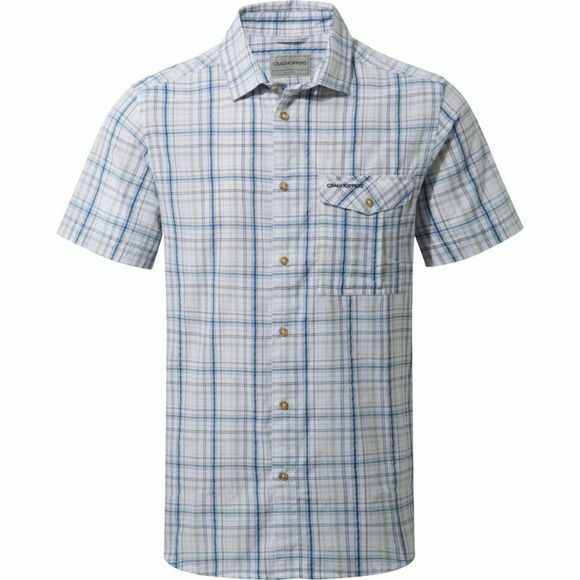 The seersucker fabric is effortlessly cool and is quick to dry out when hung with the drying loops, so you can wash it through and wear it again shortly after. There are two pockets, one a little more discreet and zipped for security purposes while you are on the move in more precarious regions.